← Friday’s Faces From The Past! Born in the Ballymoney area of Co. Antrim, Ireland on 30 March 1878, she was the eldest of three children, and only daughter; born to Alexander Murdock and Jane Holmes. Her two siblings were Alexander and Archibald. At the tender age of seven she was left without a mother; as in the spring of 1885 Jane Holmes Murdoch passed away at the very young age of 30. Two years later, in the spring of 1887, Alexander remarried; and over the ensuing years he and his 2nd wife Maggie had seven more children. Little is known about her life between the death of her mother and 1896. While still a minor, on 23 December 1896; at the Dervock Reformed Presbyterian Church by Licence, Rev. J. Ramsey united her in marriage with Robert McAleese. Her name was Annie Murdock and she was my 1st cousin 3x removed; which means her father Alexander and my 2nd great grandfather William were siblings. 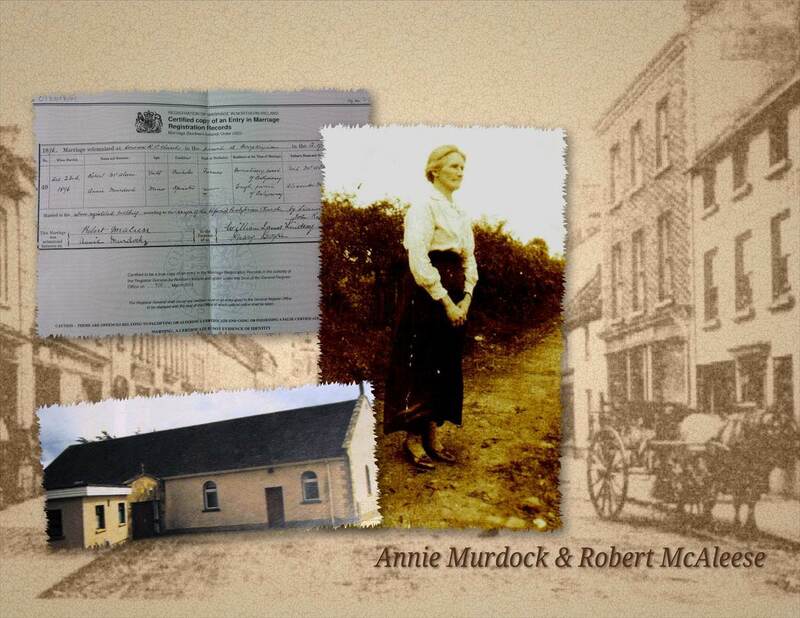 Annie & Robert lived at Drumahiskey, Enagh, Co. Antrim, where Robert farmed and Annie raised their children. Drumahiskey is also the home where they had their eight children. Two of whom were born and died between 1901 and 1911. After a year of illness and on 29 January 1926, at the age of seventy seven; Robert passed away from “muscular degeneration of the heart”. Robert is interred in the Ballymoney Old Church Graveyard. At the age of forty seven Annie was widowed and still had three children living at home. Her older children had all emigrated to the U.S.A. It is unclear where Annie lived between the death of husband in 1926, as the farm was sold and the proceeds divided between her and her six living children; and 28 April 1929. On board the S.S. Albertic departing from Belfast, Annie along with her two youngest children were bound for New York, U.S.A. Her son John had already emigrated just 3 short months after the death of his father; her entire family was now living in the U.S.A, settling in Pennsylvania. 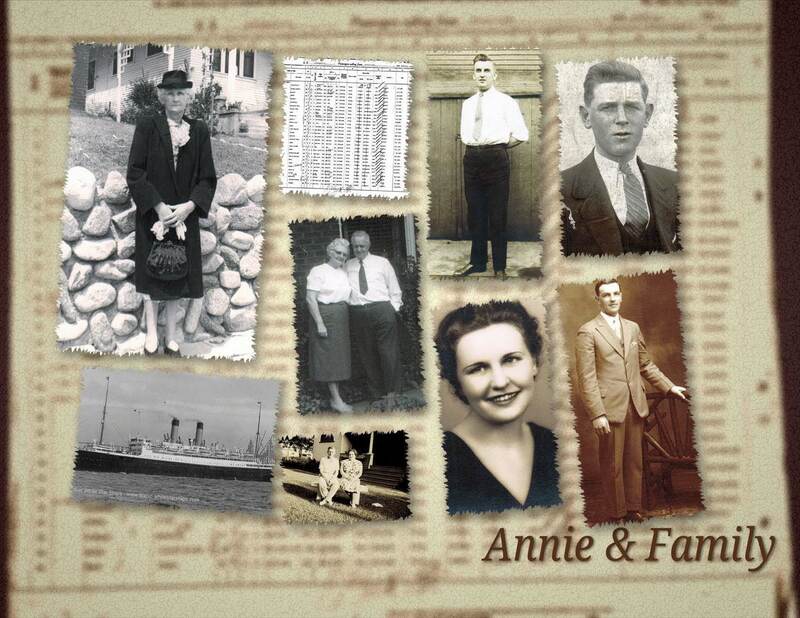 Many of the family remained connected to their homeland, making numerous trips back across the Atlantic to visit family and friends. Annie’s eldest son Neal, and my 2nd cousin twice removed; was a name I had heard growing up. You see Neal and my great grandfather, Thomas Murdock; were not only 1st cousins once removed but very good friends. Neal was a frequent visitor at 19 Union Street, Ballymoney; often returning in July to march with the Orange Lodge LOL 456. The Lodge formerly referred to as ““LOL 456 Murdoch/k’s Lodge””. On the 26 May 1948 at the age of seventy Annie passed away. She is interred in the Allegheny Cemetery, Pittsburgh, Pennsylvania. There are many more stories and connections to write about this particular Twisted Limb of my family tree. 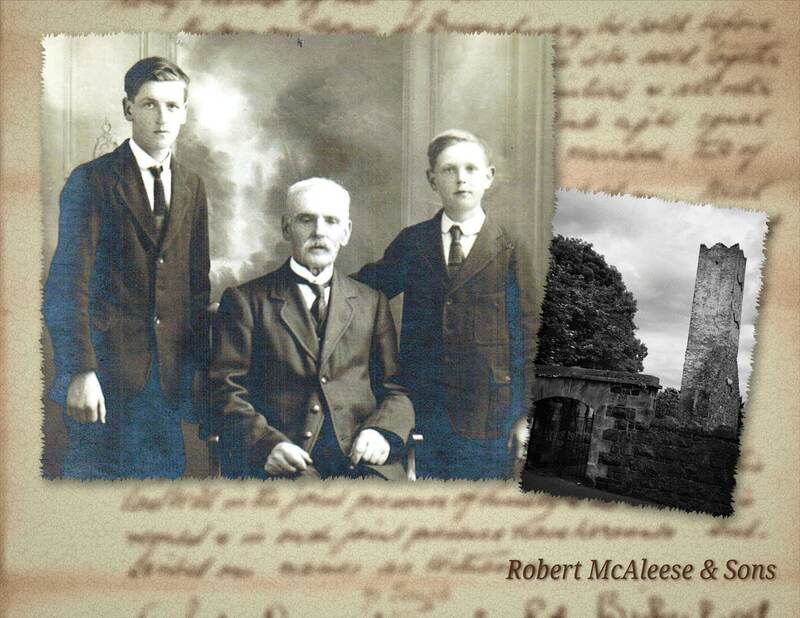 This entry was posted in Co. Antrim, Family History, Geneaology, Ireland and tagged Ballymoney, Co. Antrim, Family History, Geneaology, Ireland, McAleese Family, Murdoch Family, Pennsylvania, USA. Bookmark the permalink. 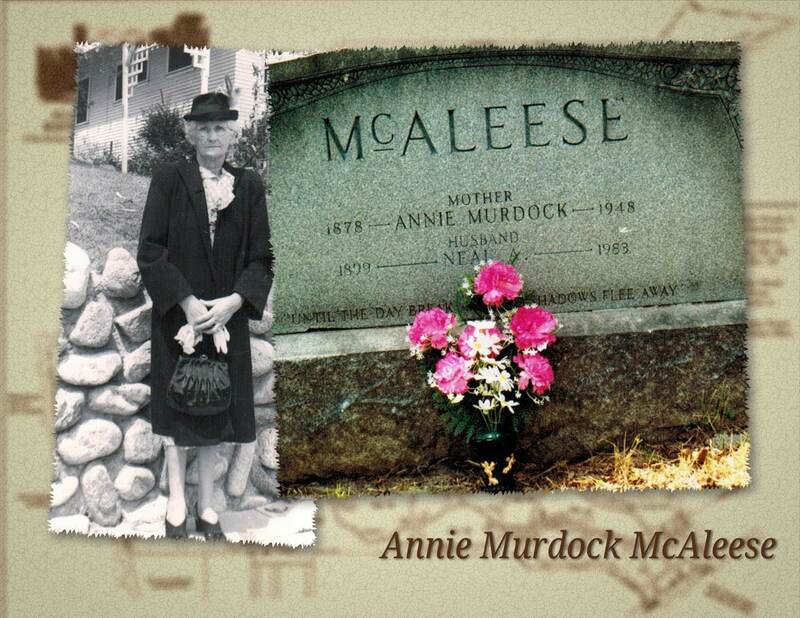 Very nice… I was born the January after my grandmother passed away and named Annie Murdock McAleese! Hi Liz, I have two Frank McAleese men in my tree. If you would like to email me a little more information (twistedlimbsandcrookedbranches@gmail.com), I can confirm if it’s the same family. Thanks for your interest in my little blog! Really enjoyed reading your blog. Just found it by chance when I was searching for the Holmes family. My name is Dave and my Gt Gt Grandmother was a sister to Jane Holmes who married Alexander Murdock in 1877. I have names of other siblings which you may already have. if you would like to get in touch and maybe we would be able to help each other then please fel free to do so. Hi Colleen. Just stumbled across your post and was interested in your research. 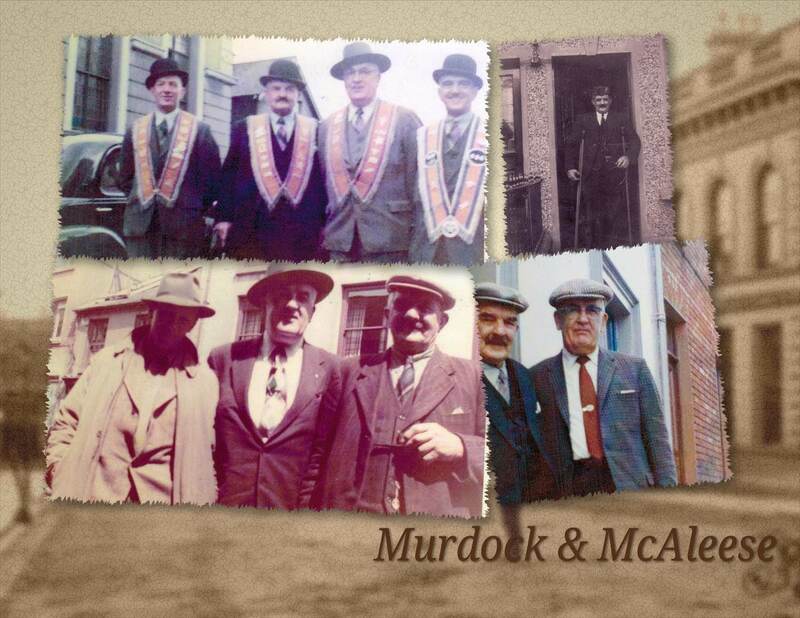 My paternal grandfather was John Murdock from Belfast. He came to PA under the sponsorship of his cousin, Neal McAleese. My grandfather was very close to his cousin Neal and his Aunt Annie who later emigrated to PA. “Big Neal” and his wife Esther were still alive when I was little. My grandfather John was the son of Archibald Murdock. I’ve been attempting to research this line but haven’t gotten very far. I appreciate this article and would love to connect.